What Are The Best Classic Rock Live Albums? Please vote in my readers poll to find out what popular opinion believes to be the best classic rock live albums. music that may have been recorded more recently but sounds as if it could have been recorded many years ago. When I was creating these polls I had to face up to various grey areas as band cross genres and it’s a harder job assigning genres than I expected. I also made a rule that I didn’t want to include albums in more than two categories although there are a few exceptions like Waiting For Columbus by Little Feat. That’s includes in the polls for Southern rock and blues rock as well as this one because it’s not atypical of any of them. Are Led Zeppelin a blues rock group or a hard rock / heavy metal group? I think they are both and there are readers polls for both that you can vote for the Led Zeppelin live albums from the 1970s. I feel they are too extreme for this classic rock category. However I have included Celebration Day as classic rock. By this stage the band had mellowed and started playing versions of songs that most frequently appeared on classic rock radio without changing or extending them much. Other groups like The Who and The Rolling Stones stopped being hard rock or blues rock when their best years were behind them and they concentrated on their best known songs. I love The Who Live At Leeds but I feel it’s too raucous and thundering for this category and fits much better into the hard rock category. The classic rock from The Who is more the CSI style of tunes from Who’s Next onwards. There are several hard rock albums that I have included in this poll because I believe the song structure and tunefulness of the albums makes them suitable for the mainstream “classic rock” fan. 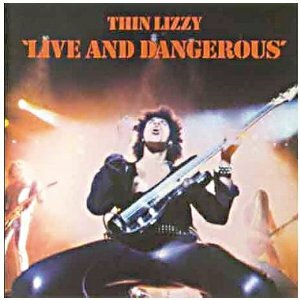 Live And Dangerous by Thin Lizzy is well known, at least in the UK but Strangers In The Night by UFO is perhaps is an undiscovered treasure for many. My definition of the best classic rock albums therefore becomes something of a catch-all for albums that don’t fit neatly elsewhere. It includes Frampton Comes Alive because I can’t think of a more suitable category. It also includes The Eagles live albums Hell Freezes Over and The Eagles Live because, despite their inclusion in the Best Country Rock Live Albums Poll, I suspect that purists won’t see it as country rock. As a general rule, if an album fits a category better than classic rock, it goes into that category but some groups and albums cross-over into the mainstream. 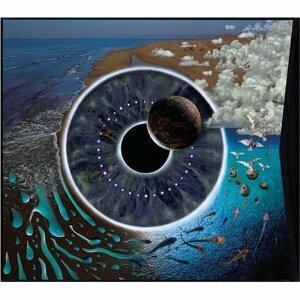 Pink Floyd are included in the poll to find the best prog rock live album but their album Pulse is also included here. Some groups and artists just are classic rock. I’m thinking of groups like The Beatles, The Beach Boys, Queen, Dire Straits, Steely Dan and the Buckingham Nicks version of Fleetwood Mac. Songwriters like Bruce Springsteen, Bob Seger, Tom Petty, Paul McCartney and Elton John are classic rock. Other groups appear to have a more formulaic approach and I’ve treated these as AOR Bands like Journey and Foreigner but I could be convinced to include them here as well. where albums cross genres, I have the freedom to select which genre I’m using for an album but I’m not going to pick an album twice. My hard rock selections included Strangers In The Night by UFO and Live And Dangerous by Thin Lizzy so they are excluded from consideration here. I must have some Bruce Springsteen and sticking to artist approved albums, that could easily be Hammersmith Odeon ’75, Cleveland 1978 or Nassau Coliseum from 1980. With some regret, I’m focusing on the Darkness tour album at the Agora in Cleveland. After that I hit a few dilemmas. Can I leave Floyd to progressive rock, Supertramp and Roxy Music to art rock, David Bowie too? Do Queen have a live album that I love enough when, despite two archive releases we don’t have a live recording heavy with songs from A Night At The Opera? Live At The Rainbow and A Night At The Odeon are treats for fans of early Queen but neither makes the cut although one might have managed an entry in my ten favourite classic rock live albums. What about The Beatles? There’s no late 1960s live albums from them because they stopped performing live concerts but John Lennon and Paul McCartney released live albums in the 1970s and McCartney has continued to release live albums heavy with Beatles tunes. I feel his best band was from Tripping The Live Fantastic tour but the double CD had too many non-essential songs and the Highlights album had essential songs missing. I saw that tour and the Back In The World tour which had even more Beatles song but I can’t ignore the charms of Wings Over America. His post Beatles songs sound much better live than they do on the studio albums and the band can rock. The Who don’t have an unmissable post Who’s Next live album from the mid 1970s but The Blues To The Bush made it into my top five hard rock live albums, along with The Who Love At Leeds. I’ve included The Brussels Affair by The Rolling Stones in my five selections for blues rock. I don’t feel I can ignore David Bowie. There is such a distinct flavour to each of his live albums and whilst I feel the early 1970s Ziggy influenced albums will fit neatly in glam rock and the late 1970s are art rock, the remixed version of David Live is much too good to ignore. The two early live albums by Wishbone Ash are highly recommended, Live Dates and Live Dates 2. My love for the Argus studio album tips my selection to the original Live Dates. Four albums selected, one to go. Rod Stewart, Bob Dylan, Neil Young, The Kinks, Bob Seger, Dire Straits, Elton John, Eric Clapton, Tom Petty, U2, Crowded House, Nils Lofgren, Deacon Blue and others to think about. Dylan and Young are featured in my singer songwriter selections. Some artists aren’t helping themselves. U2 haven’t made a general release from the Zoo Europa tour, there isn’t a proper live album by Rod Stewart and The Faces from the early 1970s but an equivalent box set to Tonight’s The Night Live 1976 to 1998 would be hard to resist. Nils Lofgren hasn’t released Night After Night as an affordable CD. I’m going to have to give this more thought. You may well disagree with my mainstream classic rock categorisations but, hopefully, you’ll find your favourite albums in one of the other genre polls. If the live album is shown in blue, you can click to get more details about it. Please let me know if you can’t vote for the promised number of live albums. Sometimes the number set in the poll slips back to one. This website has a wider definition of classic rock than I do and sadly it doesn’t list the albums in any order so I can’t tell you the top live recordings. It’s also one of those irritating websites where you have to keep clicking to see th next item. This is where my categories get contentious because these could easily be defined as classic rock but they happen to be four of the five hard rock albums that I nominate on the best hard rock and heavy metal live albums page. After a bit of a tussle with myself, I have included the albums by Thin Lizzy and UFO in the classic rock poll because of their focus on songs with melodies and without wild improvisations. What Great Classic Rock Live Albums Have I Missed? There are plenty of less well known bands who may have recorded great live albums so who have I missed? Or perhaps there is a different live album by a nominated group or artist that you believe is much better than the one included. Write a comment and explain why you think a particular live album should be included in this best live albums poll rather than one of the more specialist polls. If you’re persuasive or other people support your nomination, I’ll add it into the classic live album poll. 170 people have voted in the poll and they are asked to pick up to five live albums from the list to recommend. 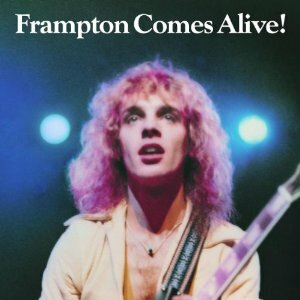 My readers have voted Frampton Comes Alive by Peter Frampton as the best classic rock live albums so far with 25% of the voters nominating it. I don’t understand why this album is so popular. I didn’t like it particularly in the mid 1970s and I still don’t. What is undeniable is that it was a huge success and put the artist into rock history. I like crowd noise but The Beatles Live At The Hollywood Bowl is very hard to listen to. Instead we have solo live albums by John Lennon, Paul McCartney, George Harrison and Ring Starr. 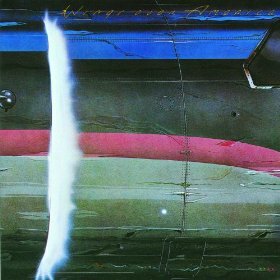 And Macca wins second place with the great Wings album Wings Over America. This one I love and songs from those early solo albums like Band On The Run, Venus And Mars and At The Speed Of Sound virtually explode when played live. Later McCartney turned himself into a virtual Beatles tribute act and Trippin’ The Live Fantastic (Highlights) is as close as we get to hearing a late 1960s live album from The Beatles. It’s also in the poll but was rewarded by just 2% of the voters. This is one of those cross-over albums because it’s also included in the poll for the best hard rock live albums. Thin Lizzy had plenty of hit singles (at least in the UK) and the songs are still tuneful. Live & Dangerous is nominated by 20% of the voters and is another fine example of the art of a live album. As far as I’m concerned, Lizzy never maintained consistency on their studio albums but they thrived in a live setting which allowed them to pick the highlights from their albums. 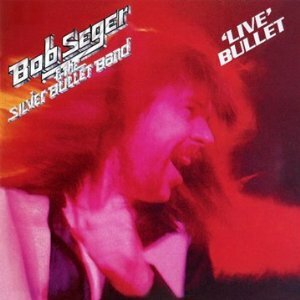 Live Peter Frampton, Bob Seger’s career exploded thanks to the live album that comes fourth with nominations from 19% of the voters – Live Bullet. This one I do like, a lot and the follow-up, Nine Tonight is also very good. Unlike Frampton, he then consolidated his success with a series of very good studio albums. These led to to another very good live album, Nine Tonight which is nominated by 5% of the voters. 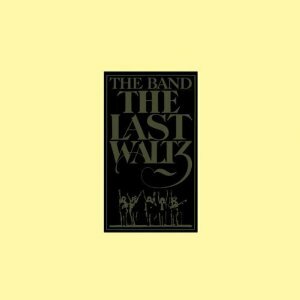 In equal fifth place and nominated by 18% of voters is a live album based around the final live appearance by The Band – The Last Waltz. As an album by The Band, I’d argue that Rock Of Ages is the stronger but what makes The Last Waltz so special is the vast number of star guests that turned the concert into an unforgettable event. The band were joined by Bob Dylan, Neil Young, Eric Clapton, Joni Mitchell, Van Morrison and many others. The album becomes a celebration of the music recorded in the late 1960s and early 1970s. 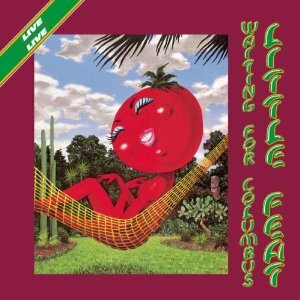 Equal fifth in the best classic rock live albums poll is Waiting For Columbus by Little Feat. It’s a virtually impossible album to describe in a few words or to categorise but 18% of voters nominated it. What’s undeniable is that it is much loved and it’s getting plenty of votes in the best blues rock live albums poll and the best Southern rock live albums poll as well as this one. In seventh place is the excellent Strangers In The Night by UFO with 16% of the nominations. This is another cross-over live album with the hard rock and heavy metal poll. 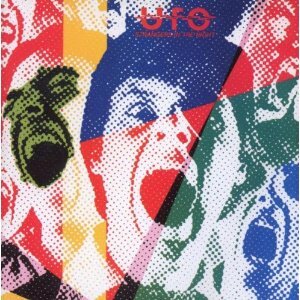 It’s great to see UFO get the recognition they deserved but sadly this album never catapulted them to world fame. If you like the sound of melodic hard rock with great guitar work from Michael Schenker without excess, then this is highly recommended. In eighth place, nominated by 15% of the voters is Pulse by Pink Floyd with it’s live version of the Dark Side Of The Moon album together with highlights from Wish You Were Here and The Wall. This is NOT the live recording that is top of the best live albums by Pink Floyd poll. keen Floyd fans know that, with a bit of effort, you can do better. In equal ninth place with one less vote but still rounded to 15% is the live compilation album from Bruce Springsteen Live 1975/85. 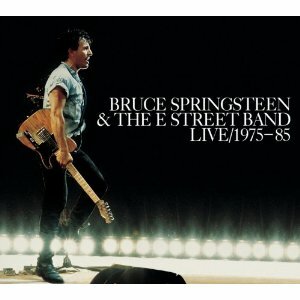 It collects songs from Born To Run, Darkness On The Edge Of Town, The River and Born In The USA but, once again, fans think there is a better live album. Also in equal ninth place is Live Killers by Queen. with nominations from 15% of voters. Live At Wembley ’86 isn’t far behind with 12% of nominations. 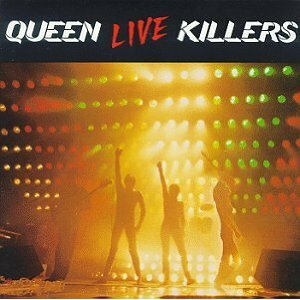 Even after the recent Live At The Rainbow 74 and A Night At the Odeon releases, I still don’t think we’ve got the definitive live album by Queen. There are so many very good I’ve albums that can be classed as classic rock or crossover from one of the other categories that I’ve spit the poll into two. Live Dates by Wishbone Ash – exciting live performance of the Argus era of the band. Live Dates 2 has a switch of guitarists but is also excellent. Here And There by Elton John – if London and New York concerts from his peak period aren’t enough, John Lennon turns up on three of the songs in NYC. Two official archive releases from Bruce Springsteen that put Live 1975 – 85 to shame. We now have concerts from the Agora in Cleveland, Ohio in 1978 and Nassau Coliseum Uniondale in 1980. Both are superb. There are also unofficial radio broadcasts available but start with these two approved recordings. Alchemy by Dire Straits – recorded before Brothers In Arms, the band may no longer be fashionable but this album explains why they were so successful in the 1980s. Trippin’ The Light Fantastic by Paul McCartney – the closest we can get to The Beatles performing live in 1970. There is some dross on the album but if you make your own highlights of the Beatles and Wings tracks, you have something extraordinary. It’s not the Beatles but the band is good and the guitar high in the mix. Alive In America by Steely Dan – although better known as a studio band, the Dan give us an excellent live album. Radio broadcasts from 1974 are also worth hearing. I’m puzzled that Tom Petty isn’t doing better with Pack Up The Plantation or Live Anthology. There are also radio broadcasts from the 1970s and 1980s that are well worth hearing. Rod Stewart has an excellent live anthology called Tonight’s The Night with performances from 1976 to 1998. I’d love a similar exercise with songs from 1970 to 1975 to capture performances from The Faces and his early solo albums. I like Coast to Coast but it is short and missing so many great tracks. All this makes the popular support for Frampton Comes Alive even more mysterious to me. I think that’s an excellent summary of classic rock and shows how well the poll system works when you have plenty of voters. If you don’t agree, then you need to vote. If your favourites are missing from the list and you think they should be classed as classic rock, tell me by leaving a comment on the blog. Led Zeppelin have been excluded because they are in the heavy rock and blues rock polls. The Who’s famous Live At Leeds album is also classed as heavy rock and because it was recorded before the classic rock staples of Who’s Next and Quadrophenia, I think it belongs to a different genre. I’d appreciate your opinion on the best live albums outside of my narrow definition of the classic rock area so please click on the links below and vote for the albums you think are the best. When you click on the music genres you’re most interested in, you may be given the chance to vote for the best live album by an artist. This entry was posted in Best Live Album Polls, Classic Rock Live Albums by Paul Simister. Bookmark the permalink.